This 1st Source Bank promotion has expired, but we will update this article if/when a new offer is provided. 1st Source Bank will give you a $300 MasterCard Gift Card bonus when you open a personal checking account with a $25 minimum deposit and make 1 ACH direct deposit of at least $250 within 65 days of account opening. 1st Source Bank has 78 locations across Northern Indiana and Southwest Michigan. They do not provide deposit accounts to individuals who live outside of Northern Indiana or Southwest Michigan. However, if you start the online application process for opening a new checking account and enter a ZIP code that is outside of their service area, they will give you the option to choose that you have “Family in the area” or that you are a “Previous resident,” which will allow you to complete the application process online even if you live outside of Indiana or Michigan (this is probably only advisable if you actually meet these qualifications, as it’s unclear whether your application will be accepted without further proof). You must present your offer code in person or via the online application link provided and open either a 1st Source Easy Banking Club or a Cubs 1st Club personal checking account by December 31, 2018. 1. Visit the 1st Source Bank Promo Page to get started. 2. Enter your email address and click the “Get My Offer Code” button to get your unique offer code. 3. You must present your offer code in person or via the online application link provided. 4. Open either a 1st Source Easy Banking Club Checking Account or a Cubs 1st Club Checking Account by December 31, 2018. 5. Deposit a minimum of $25 at account opening. 6. Within 65 days of account opening, set up and make 1 ACH direct deposit of at least $250. 7. Your $300 MasterCard Gift Card will be mailed to your address on file within 60 days of meeting all of the requirements. Current 1st Source personal checking customers are not eligible for this offer. Accounts titled as Irrevocable Trusts, Estate, Non-individual, and HSAs are not eligible for this offer. The value of the reward is taxable income to you and may be reported on an IRS Form 1099. 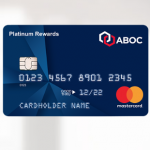 The $300 MasterCard Gift Card offer may not be combined with any other offer. Employees of 1st Source Bank or its subsidiaries are not eligible for this offer. Closing of this account within 180 days of opening will result in a $25 fee. No monthly fee with at least 1 electronic direct deposit per monthly statement cycle ($15 monthly fee applies otherwise). Free online/mobile banking and e-statements. Mobile Banking includes Bill Pay and Mobile Deposit. MAX Bill Pay gives you up to 50 bill pays with your Easy Banking Club account. Check writing/no fee per check. Free front check images with your monthly checking statement. Overdraft line of credit available (subject to credit approval). Use your club card in person at the South Bend Cubs to get 10% off: game tickets, food and non-alcoholic beverages, merchandise, select special event tickets (such as concerts at the ballpark), and Performance Center services (facility and batting cage rentals, lessons, camps and clinics). Members get special access to exclusive events, special experiences and perks with the South Bend Cubs. Your Club Membership Card is also a debit card (pick from 3 fun baseball-themed designs). Cubs 1st Club checks and checkbook cover. Up-to-date Mobile and Online Banking. 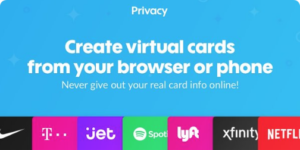 CardValet app to monitor and control your card (enhanced protection and customized settings). Cubs 1st Club Members who also open a Cubs 1st Savings account (with $500 in new deposits into the bank) will receive a soft and lovable 11-inch “Stu” mascot toy as a gift (limit 3 per household and requiring $500 per toy in new deposits into the bank). If you live in Northern Indiana and Southwest Michigan, take advantage of this promotional offer from 1st Source Bank to get a $300 MasterCard Gift Card bonus when you open select personal checking accounts.